At Cornerstone KIA, we take pride in serving our local customers and the surrounding community with our new and used car sales and service. Visit your Elk River dealer for all the latest models the KIA brand has to offer. New models like the Kia Optima, Kia Soul, Kia Sorento and Kia Sportage are all here. We are located at 17094 Vance St NW, Elk River, MN 55330. Visit our contact us page for our business hours and directions to our location. We look forward to meeting our KIA fans in Plymouth, Monticello and Elk River! 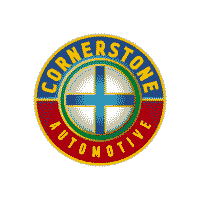 Cornerstone KIA also provides quality parts and auto repair service to the Elk River area. If you need routine maintenance or extensive auto repair service on your vehicle, we’ve got you covered. You can even schedule service and order KIA parts from the comfort of your home. We provide top-notch KIA products and service for our customers in Elk River, Plymouth, and beyond to get them back on the road safely and swiftly. Sales associate Tyronne Gibson was very helpful, go see him for a new car! If anyone is looking to buy a car I highly recommend Kirk Zroka with Cornerstone Kia. Working with Kirk was an absolutely amazing experience! From start to finish he was there to answer all my questions and concerns. It was obvious that Kirk was an experienced sales professional and that finding the right vehicle for me was extremely important to him. I love my SUV and I am so thankful Kirk took the time to find me exactly what I wanted. I couldn't be happier with my experience. Kirk Zroka Cornerstone KIA will take care of you!!!!!!!! Mac was a great salesman, very prompt on getting back to me, when there he was not a pushy salesman but very friendly and approachable. The entire team was friendly. I had a couple items that needed attention and they took care of that by going above and beyond to make everything work out how it was suppose to. Thank you. Everybody in that dealership were super patient, very helpful, and it definitely doesn't have that feeling of a "typical" car dealership. My wife and I didn't feel any pressure once we got there, and most dealerships have salespeople peering out the window like rabid dogs. Not Cornerstone! Just 1 person sitting at the front ready to help with whatever we needed. The first person we talked to was Will Swanson because we had called first to see if we should come in or just fill out an online application, simply because our credit isn't all that good and I wasn't sure if we had to do anything special. Will was super genuine and very helpful and calm and relaxed. Very good experience!Then on to Michael McCurdy....wow!! It was like hanging out with a family member at their house..."don't worry about it, I'll take care of it" type of attitude and relaxed feeling. Truly treated us like family...not a notch, not a number, not a "get 'em in, get 'em out".....very very pleasant experience!! My wife and I over the last month have been telling everybody, you have to buy a car from Mac at Cornerstone KIA!!! He'll make you feel right at home! !The frosting on the cake for my wife and I, is that the core of Cornerstone is Christian based, and you can absolutely feel it there! Normally I wouldn't think twice about the badging of the company that sold the car, but now with that Cornerstone badge, it's almost like I roll around with a little extra smile, proud to have that on my car! Everybody in that dealership were super patient, very helpful, and it definitely doesn't have that feeling of a "typical" car dealership. My wife and I didn't feel any pressure once we got there, and most dealerships have salespeople peering out the window like rabid dogs. Not Cornerstone! Just 1 person sitting at the front ready to help with whatever we needed. The first person we talked to was Will Swanson because we had called first to see if we should come in or just fill out an online application, simply because our credit isn't all that good and I wasn't sure if we had to do anything special. Will was super genuine and very helpful and calm and relaxed. Very good experience! Then on to Michael McCurdy....wow!! It was like hanging out with a family member at their house..."don't worry about it, I'll take care of it" type of attitude and relaxed feeling. Truly treated us like family...not a notch, not a number, not a "get 'em in, get 'em out".....very very pleasant experience!! My wife and I over the last month have been telling everybody, you have to buy a car from Mac at Cornerstone KIA!!! He'll make you feel right at home!! The frosting on the cake for my wife and I, is that the core of Cornerstone is Christian based, and you can absolutely feel it there! Normally I wouldn't think twice about the badging of the company that sold the car, but now with that Cornerstone badge, it's almost like I roll around with a little extra smile, proud to have that on my car! Great salesman, very friendly and helpful staff. Very happy with our buying experience! Would recommend to everyone. Sales man was very informative. I worked with Melina Kissel when our car was having troubles. She went out of her way to make the experience as smooth as possible for my wife and I. We felt cared for and the car turned out great!. We are happy we bought our car form cornerstone. I had a good car buying experience working with Hassan Ghazi. I am grateful he first to approached me. He was attentive and client-focused. There was no long waiting or unexplained docs.He really worked this sale. It was great customer service.